Congratulations on your decision to take your education to the next level by pursuing your high school diploma through the GED® tests! We are here to help you reach that goal. Our flexible course offerings (daytime, evening, Saturday & online) give you the ability to build a schedule that fits your busy lifestyle. 21st Century Skills, including computer literacy, problem solving, collaboration, and effective communication are woven into our curriculum and help students prepare for postsecondary success. We also offer daily workshops that focus on academic, employment, and life skills including time management, study habits, interviewing tips and resume writing. These skills are critical to your success in college and the workplace. The pace of instruction is designed to prepare you for the GED® assessments with flexibility and efficiency. 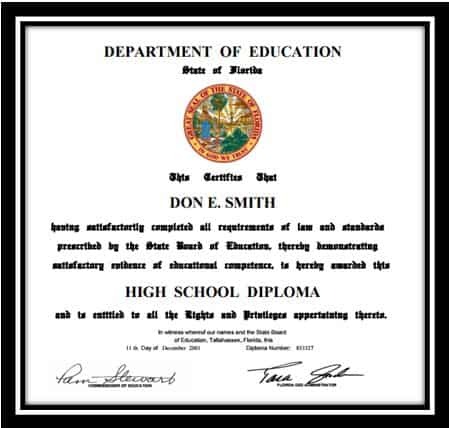 This will enable you to pass the GED® assessments and earn your Florida Department of Education awarded High School diploma as quickly as possible. In order to help us assess your individual learning needs, we recommend that your take the GED® Ready official practice test before you start. Vouchers for a free practice test are available to qualifying students. Find out today how to qualify for a free voucher! Click Here for an informational flyer on the Atlantic Technical College GED® Test Preparation program. Where can I register for the actual GED® test? The GED® Test is computer based. Test registration can be done 24/7 online at www.GED.com. Candidates will select a convenient testing site, based on the list of local official PearsonVue GED® testing centers. Atlantic Technical College hosts two (2) official testing sites, one at our main campus in Coconut Creek, and the other at our Arthur Ashe, Jr. campus in Fort Lauderdale. You may schedule the tests one at a time, or you may combine two (2) tests. What if I need practice to prepare for the test? Most candidates will need instructional preparation for the GED® Tests. The demands for the exam will require college and career readiness skills. ATC instructors will provide students with the necessary skills in Reasoning through Language Arts, Social Studies, Science, and Mathematical Reasoning to pass the exam and obtain the essential skills for entry into post-secondary education programs and/or the workforce. How do I register for the GED® Test Preparation classes? Register for the Tests of Adult Basic Education (TABE) required for GED® Program Placement and pay the $15.00 testing fee. Accommodations for testing and classes available to qualified individuals. For additional information, please contact the Disability Services Advisor (before testing) at ATC Main Campus, 754.321.5259 and Arthur Ashe, Jr. Campus 754.322.2818. Upon completion of TABE, return to the Office of Student Affairs to meet with a counselor to obtain your test results and register for the GED® Preparation Program. Pay the $20.00 annual student activity fee and $30.00 per trimester tuition. How much does the GED® test cost? The testing fee is $32.00 per subject in the four (4) areas: Reasoning Through Language Arts, Mathematical Reasoning, Science and Social Studies which is a total of $128.00 for the first time that you test. A candidate can make a second and third attempt on any of the four GED® sub-tests for $12.00 per subject. After the third unsuccessful attempt on the same subject, the candidate must wait 60 days before testing again and the cost is $32.00. With every unsuccessful attempt thereafter, candidates must wait 60 days and pay $32.00 per subject. Once you take the GED® Test at an Official Testing Center, your scores will be calculated and uploaded to your account on www.GED.com. Once you pass the entire test, your official GED® transcript and diploma will be e-mailed to you free of charge (one hard copy can be ordered via the GED® Web site at no charge). What are the procedures for underage candidates? To be eligible to take the GED® Tests, students must be withdrawn from High School and attend GED® Test Preparation classes regularly. Instructors will advise students when they should begin the following steps. Upon instructor’s approval, take the GED® Ready Practice Test, and provide proof of passing scores. Click on “My Scores” to view your results, and print. Obtain the GED® Underage Waiver Application from your instructor. Student and Parent/Guardian must complete, sign and have form notarized before Instructor can enter the GED® Ready scores and sign form. Obtain the Underage Waiver Form by clicking on the Alerts icon on your GED® dashboard and Type Student Name, Date of Birth, School District (Broward), Superintendent’s name and then print the form. A Withdrawal Form from most recent high school is required for students aged 16 and 17. Students without withdrawal documentation will need to bring a notarized letter indicating that they are not enrolled in High School. Bring the above (4) documents (in bold print above) to the GED® Advisor for approval. You will sign an Authorization for Release of GED® scores. All paperwork will be submitted to the local GED® Testing Coordinator for Broward County Schools. Within 2-3 days, your alert will be removed and you can go to the GED® website to schedule your GED® tests. Go to www.GED.com to create an account. Select your preferred language for the exam. Select your subject area (Math Reasoning, Reasoning through Language Arts, Science and Social Studies). You may schedule one or two GED® tests per test date. Select a testing center, date and time for the test(s). The cost is $32 per subject or $128 for the entire test. Enter payment, submit order, and print your registration receipt. Bring receipt and your official photo ID on the day of the test. Go to www.GED.com, and click on “Test Tips” for a list of acceptable forms of ID. You will not be permitted to test without these documents. Results will be available on your GED® account. Click on “My Score” and your transcript/diploma will be immediately delivered to your email address after your test is scored. You can view, print and request a professionally-printed diploma free of charge. You can also email the electronic transcript to an employer or college of your choice. If you cannot retrieve your scores, or you cannot access your GED® account, please call GED® Testing Service at 877-392-6433.